If you would like to be placed on the waiting list , please fill in the details below. Please note that we are primarily a charity for children who have no access to a horse or pony of their own so if your child already owns or loans a pony then please do not place their name on the waiting list. We reserve the right to not offer a place to those children. Once you press the submit button you will receive a confirmation email. If you do not receive an email within 2 hours , please fill in the form again ensuring the email address is correct. Please note that we have a very long waiting list of over 650 names. The waiting list for juniors (8-10 years old) takes around 3-4 years, but once a child is over 10 they are on the waiting list for seniors (10-18 years old) which moves extremely slowly as the senior places are normally filled by juniors moving up. If your child is over 8 then it is probably not worth adding them to the waiting list as they are unlikely to get a place. If your child has not been offered a place by the time they reach the age of 13 they will be removed from the waiting list. You are welcome to use the 'contact us' e-mail and check on your childs position on the waiting list. Thank you for your interest in Windsor Horse Rangers, once your child’s name has been placed on the waiting list you will be contacted if a place becomes available. We are unable to say when this may be as we can only cater for a set number of children. You are welcome to e-mail us and check where your child is on the waiting list at any time. However if your child has not been offered a place by the time they reach the age of 13 they will be taken off the waiting list. 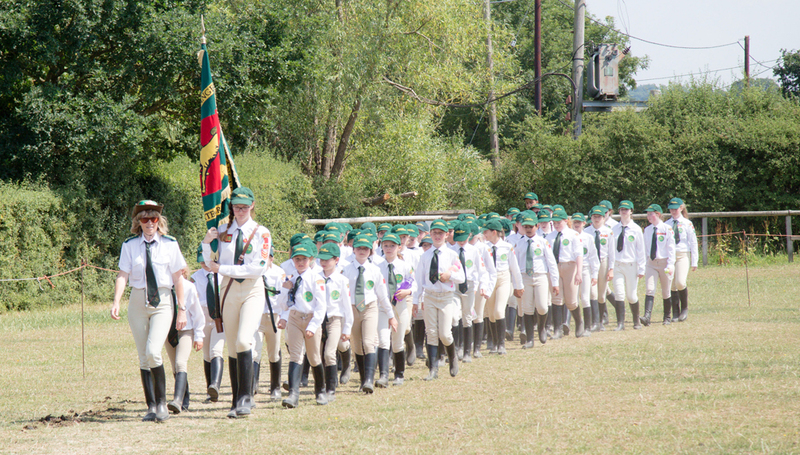 Windsor Horse Rangers is a voluntary organisation run for the benefit of it’s members. The organisation is administered by a board of trustees comprising parents, officers and persons with specialist knowledge or ability. 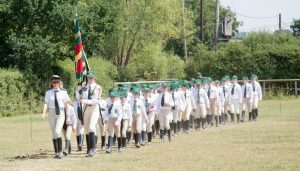 The daily running of the organisation is undertaken by volunteers who have either significant equine knowledge and/or experience of running children’s organisations such as Scout groups. Children aged 8 to 10 attend an afternoon session and those 10 to 18 for a morning session. The sessions are referred to as for “Junior Rangers” or “Senior Rangers” respectively. Some senior rangers remain for the afternoon session by invitation to assist the junior rangers. When you are contacted and your child invited to join, a session will be offered determined first by age and then by availability, you will have advised us of your preference when submitting your child’s name. Your child will then be invited to attend that session for a period of four weeks as a trial period. Given that the basic clothing and protection requirements for riding involve significant cost we find it best to offer this trial period to ensure that you and your child are happy with the ethos and practice of the organisation before committing fully. Your child is expected to attend Rangers every week, where possible, but the trial period covers the four weeks that the child can actually attend. Rangers is not suited to those who want an occasional visit or ride. We have a large waiting list running into many hundreds of children and it would be a waste of a place if a child only came occasionally. If your child does not attend Rangers for 4 weeks in a row, then their place will be offered to someone else unless we have been informed of the absence. On the week following the conclusion of the trial period your child will be enrolled. This is a short ceremony at the end of the session during parade. Parents are of course welcome to attend to enjoy the enrollment of their child. Upon enrollment your child will be placed in one of four “companies” designated A-D. For the most part this will remain their company throughout their time with us. Achievements will earn points for their company, which will be totted up at the end of each year to form the basis of an award. Children ride (weather and circumstances permitting) every other week and are graded according to ability. For the rest of their time with us they are taught the principles of care and welfare of horses generally and undertake some of the jobs around the farm that are required to look after the horses. The teaching for riding and theory are taught following the basic principles of syllabi as those offered by the British Horse Society and the Pony Club but adapted to the facilities and requirements of our horses. We also have additional activities available during some of the holiday periods, details of which will be supplied on enrollment. Your child’s safety is of paramount importance and our procedures and rules are based on that premise. Horses are live animals and as such are unpredictable and potentially dangerous. In as far as it is possible children are made aware of this and are supervised at all times. There are always a minimum of two adults on duty at all times, at least one of whom is female. As stated Windsor Horse Rangers is a voluntary organisation and as such relies upon the dedication of its officers to run at all. We do ask that if parents have any particular interest or knowledge that they are prepared to offer us that they approach one of the Officers to discuss this however small or irregular the commitment might be. All adult volunteers will be required to have a DBS check and provide personal references for safety and child safeguarding purposes. It is a clause of membership that parents participate in the canteen rota, which requires a commitment of one or two sessions per year to assist with the children’s break-time.